The best-kept foodie spots are hidden in the outskirts of town. But really, who has the time to travel out for good eats? Possibly the more adventurous diners, though not a very appealing endeavour for busier folks. 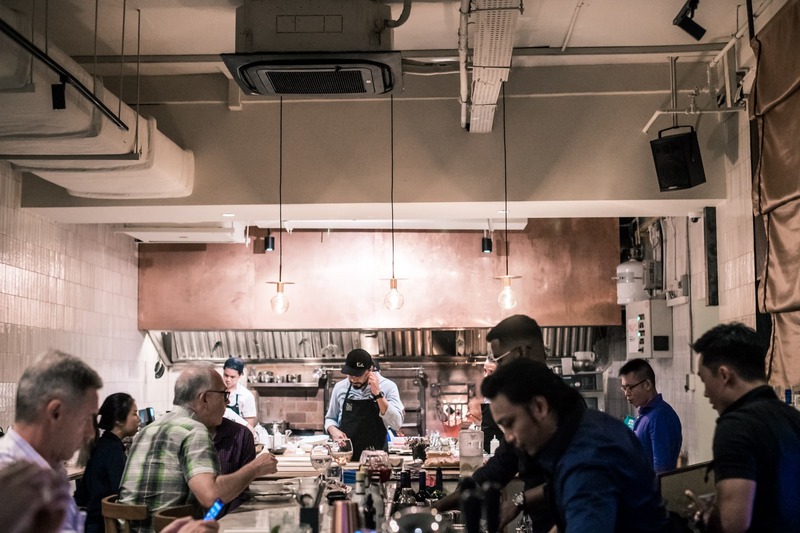 Good news: Kilo Kitchen has finally moved away from the middle of nowhere (Kallang industrial area) it called home for the past seven years. 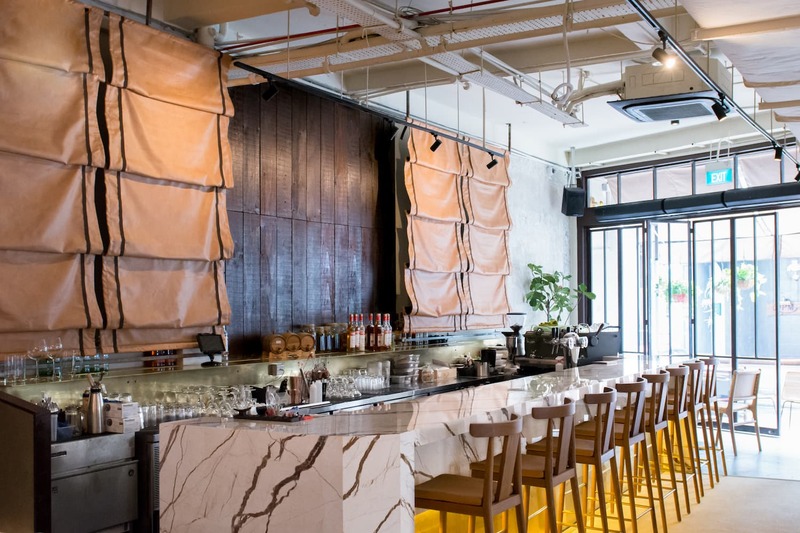 The restaurant is now planted on Duxton Road — more in tune with its hip personality. It’s just minutes away from sister establishment/club Kilo Lounge, and with this comes a few benefits. The general idea is this: you have dinner and light drinks here before heading over to the club to party the night away. But Kilo Kitchen is much more than just a holding area for party-goers. The restaurant is armed with some serious toys for a good cookout. The open kitchen boasts a natural fire stove and a wood-fired grill, manned by the newly installed chef Manel Valero. It makes for quite a scene: there are guaranteed showings of sparks, huge flames and crackling wood every night. The industrial aesthetic has been a raging trend in restaurant design, even though there’s always a risk of looking tragically lazy or stylishly rustic. 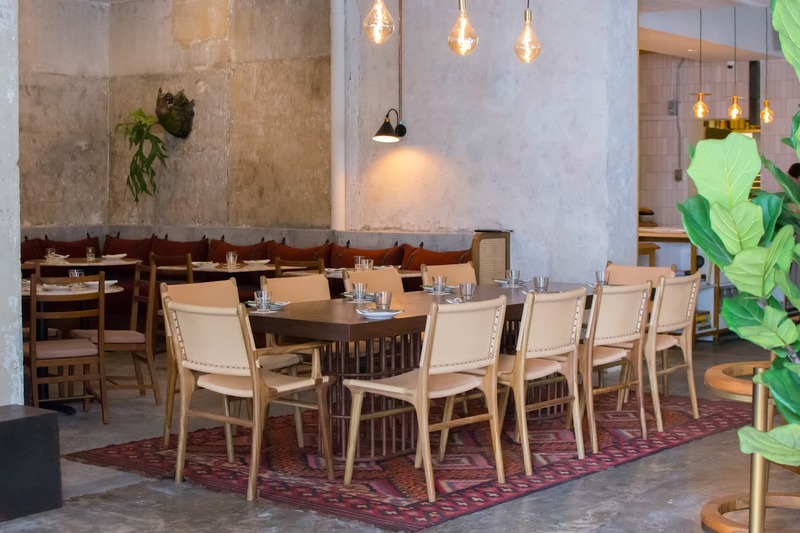 Kilo Kitchen manages the latter with sophistication. This is the place to be if you adore the idea of glamping. Kilo Kitchen has the vibes of a very posh tent, except that everything else — food, drinks, service, a well-running toilet — is well taken care of. Indoors, concrete walls crowned with elegant brass fittings meet sleek marble tables and counters. Banquettes are concrete blocks strapped with cushions for comfort. Then there are vintage carpets all around and dim lights to set the evening mood. Alfresco seating is equally inviting as well, with low bamboo chairs and overhanging plants — a good place for after-dinner cocktails. You’ll want to stay here for a long time if you have nothing to do the next day. While Kilo Kitchen welcomes back a familiar face to its kitchen, there are fresh new ideas for the table on top of what’s already developed by co-founders Joshua Adjodha and Javier Perez. Manel Valero previously led the restaurant in 2016 before taking up stints in Michelin-starred restaurants around Europe, and most recently at local bistro Wine RVLT. There’s a lot to miss in his temporary absence, but the chef’s finally back in action again and we’re all excited. The restaurant’s sharing plates menu sees a combination of Latin and Asia influences, expressed through Valero’s conviction for bold flavours. 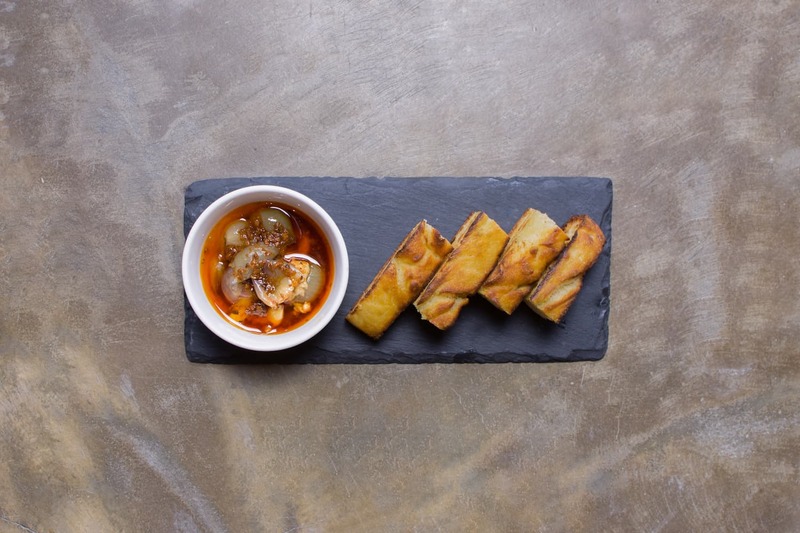 The usual bread and butter platter, for instance, is replaced with Pan, a grilled potato foccacia and a fragrant adobo dip steeped with sherry vinegar, confit garlic and shallots. Then there’s a whole avocado quartered and grilled, with the same care you would a prime steak, for a touch of char. It pairs up with a sharp ponzu sauce, served over soybean milk skin and a scattering of buckwheat. Valero then lets us in on a quick preview of a new dish: burrata swimming in a pool of mala oil. 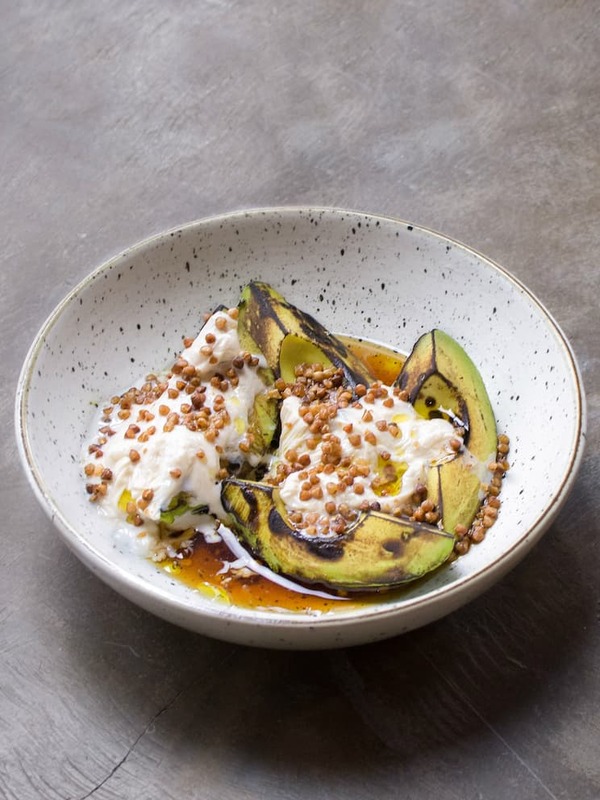 The creamy stracciatella offers cooling consolation to the slight numbness of chillis and peppercorns, and a dash of dukkah keeps us addicted. It’s a slap in the face to anyone who says that there’s only one way — Caprese style, with fresh tomatoes and olive oil — to enjoy burrata. 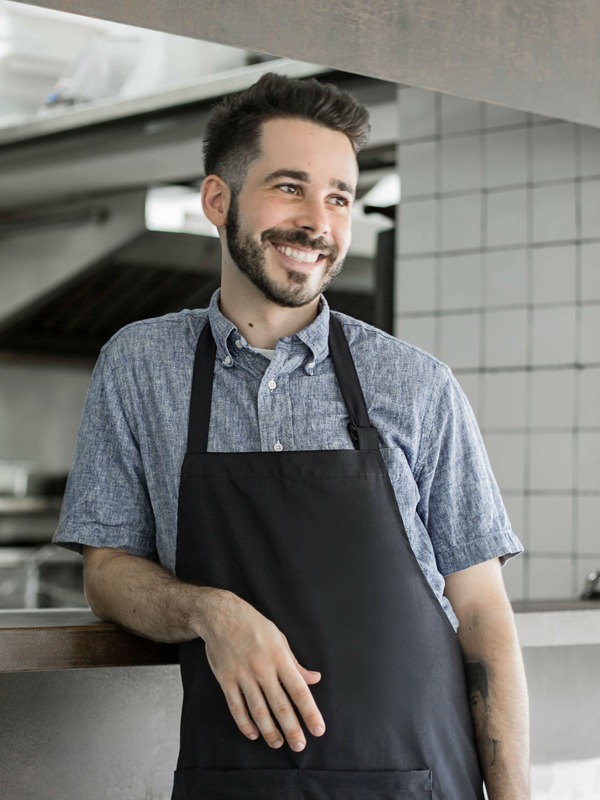 Manel Valero, executive chef at Kilo Kitchen. Even the ‘homelier’ dishes get a chance in the limelight. The appropriately dubbed Atas Lentils is a jazzed up version on the traditional tomato stew packed with wild mushrooms, Jamon Iberico, and a touch of black truffle. As with all stews, you’ll want to keep some bread on hand with this moreish dish. While the larger plates in comparison are safer options, they are still noteworthy dishes. The sea urchin rigatoni is a punchy newcomer on the short list of mains, cooked in a rich lobster stock mixed with sea urchin, lightly punctuated with Calabrian peppers. Kilo Kitchen’s current menu is one that holds much promise, and it’s waiting to be populated full of other creative bites. It won’t be a long wait either as the kitchen is firing up idea after idea. Come by with a sense of adventure and a big group of friends. There are still sparks of creativity here waiting to ignite.